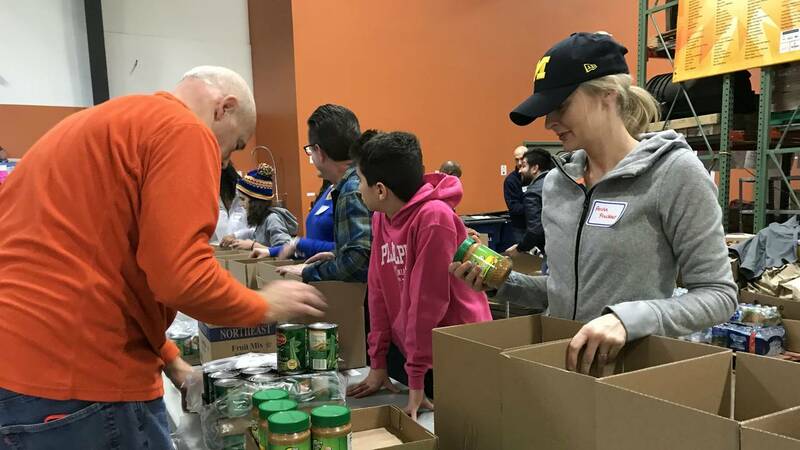 ANN ARBOR - Hours before kickoff on Super Bowl Sunday, elected officials and volunteers joined together to pack hundreds of boxes at food rescue program Food Gatherers' warehouse. 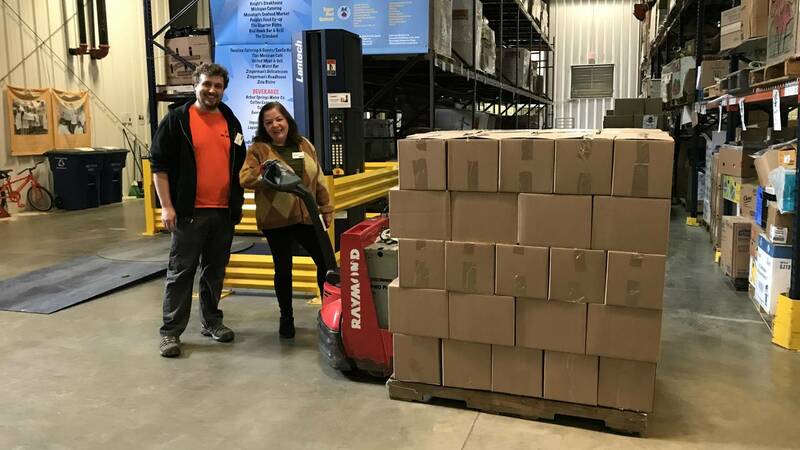 Following the longest government shutdown in U.S. history and a challenging record-breaking cold week, Food Gatherers CEO and President Eileen Spring said resources are needed now more than ever to get food to those affected most by delays in the Supplemental Nutrition Assistance Program (SNAP). People on SNAP and food stamps received their benefits early in January in anticipation of the shutdown, but no new benefits will be issued this month. "For people who are food insecure, the month of February is going to be a tricky one," said Spring. "We know already that folks who are on SNAP often rely on a food pantry that’s supported by Food Gatherers to make ends meet every month. But now, because of this gap, there are people who may go as long as 40 days without any new benefits being issued." 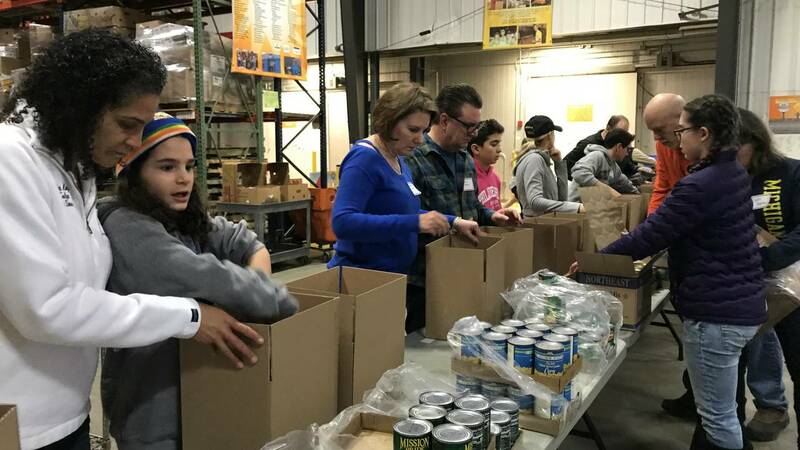 It's what many in the field are referring to as the "SNAP gap," and if charitable networks aren't able to meet demand, those who are already hungry could risk having little to no food coming in until March. "Food Gatherers is a vital part of our community fabric, in keeping us healthy and fed. I love being a part of that," said County Commissioner Felicia Brabec. 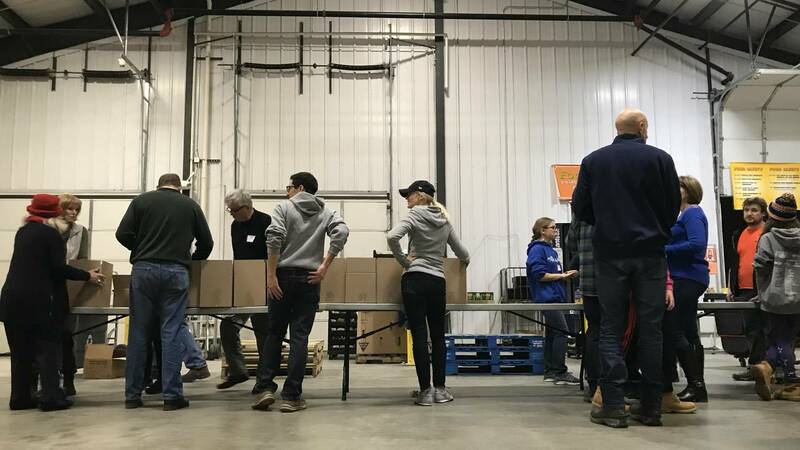 "Just recently, my colleagues and I were able to fill the gap for Food Gatherers because of the shutdown with an extra allocation so that we can do these kinds of things. Because that gap is going to be there but they don’t miss those meals because people rely on this. They didn’t create this situation so they shouldn’t have to deal with the outcomes of someone else’s decisions." Brabec brought her husband and their two children, Alex and Vivian, to help with the effort. "One of our family values is giving back to the community," she said. "We are lucky in the position that we are, and that we’re in the position to give back." 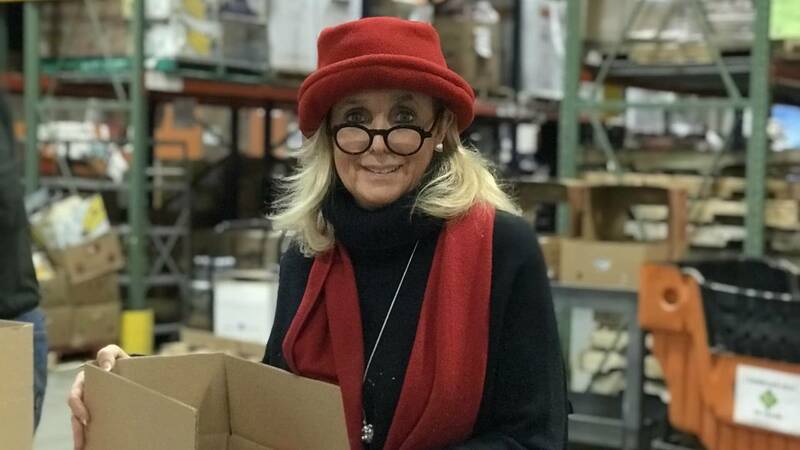 Also lending a hand was Congresswoman Debbie Dingell. 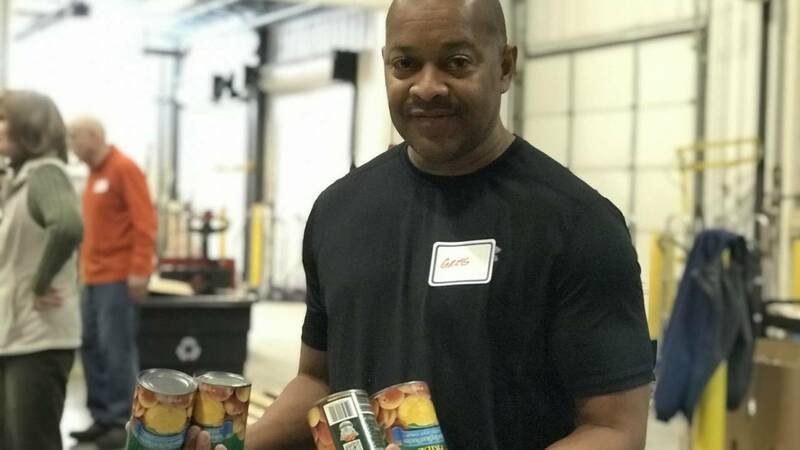 "When Food Gatherers asked, it wasn’t even a question for me, I said, ‘Of course I’ll be there.’ We have to take care of each other. That’s how we get through hard times. I was talking to a lot of people that were really hurting during the shutdown. 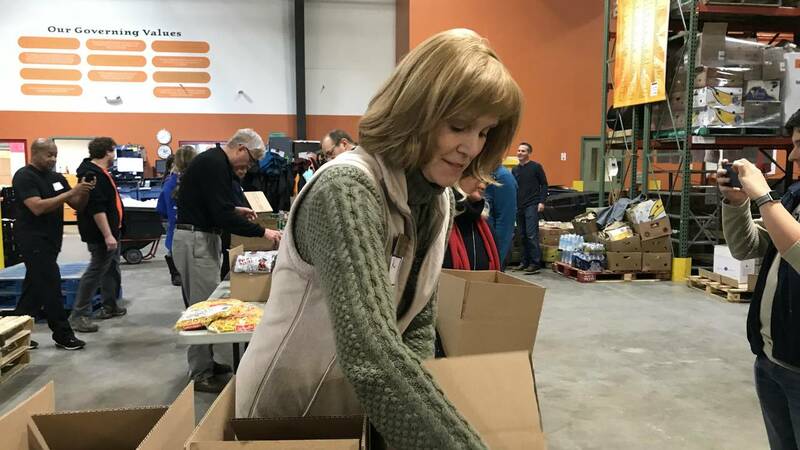 I’m grateful that Food Gatherers is trying to help those that have needs, which is both government workers who are still behind, and people who rely on stamps and other sources of food. I’m sad that there’s an increased need right now. All of us are here trying to help." When asked about the possibility of another shutdown, Dingell said, "It can never happen again. These aren’t Republicans or Democrats, they’re public servants that got caught as hostages. We have no idea the toll it took on their lives and we cannot ever let it happen again." Leading the boxing line was Washtenaw County Administrator, Gregory Dill, who said he wouldn't want to be anywhere else on one of the biggest sporting days of the year. "It’s Super Bowl Sunday. I can’t think of a better way to spend Sunday, quite honestly. Food Gatherers has always been a staple of our community. It’s great to see so many volunteers out here. I see Congresswoman Dingell here, I see a few of our county commissioners here, and I think that speaks to the passion that everyone has about the program and the people that they serve. This is just a jewel of our community." For Ann Arbor City Councilmember Kathy Griswold, D-Ward 2, the issue of food insecurity hits close to home. 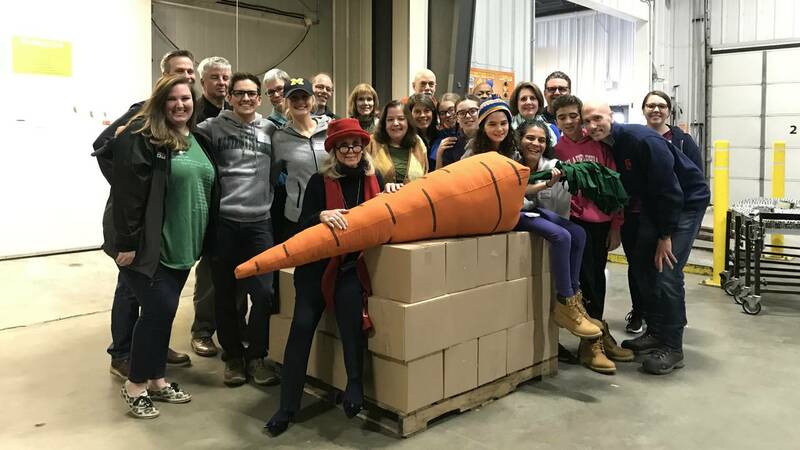 "I think Food Gatherers is extremely important and I’ve taken advantage of food subsidies both when I was growing up after my father passed away and then also when I had three foster children," said Griswold. "So I understand the benefit firsthand." 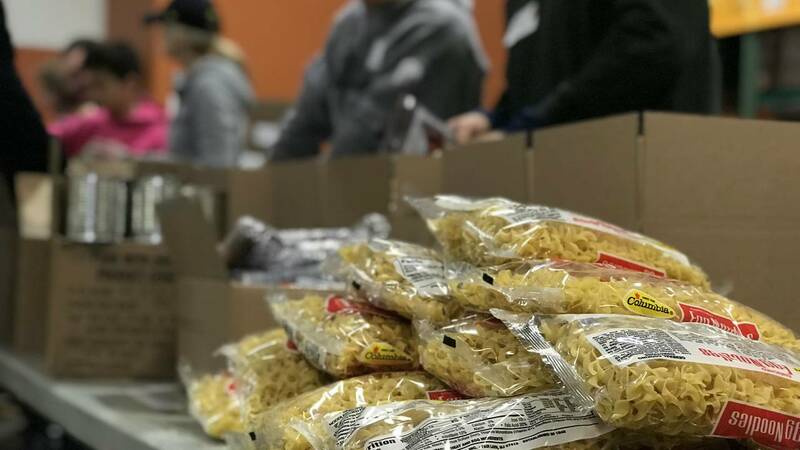 Much of the food volunteers packed were USDA items, such as Del Monte vegetables, pasta, tomato sauce, canned meat and more. "Some of it is food we’ve purchased to give a little more variety than what the USDA provides," said Spring. Once the food is sent to pantries, it will be combined with milk and fresh produce so that recipients can enjoy a well-balanced diet. Want to get involved? 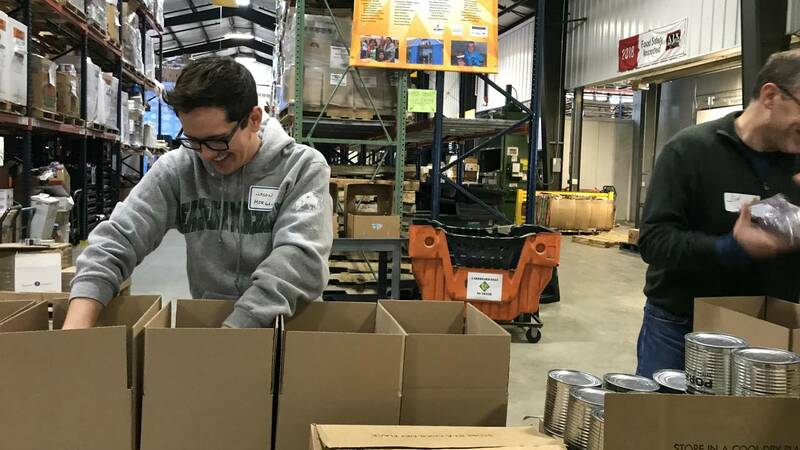 Check out volunteer opportunities with Food Gatherers here. For more information about events, food donations and partner programs, visit www.foodgatherers.org.